That's it! I finally figured out the way to convince my hockey team to head Downtown for eats after our Friday night games. The secret? Threaten to write them out of the blog or get replacement eaters? No. That won't work. Rather, I have volunteered to drive everyone (as a carpool) to where ever the restaurants are. Yes, the things I do for food. Thank goodness I have a hybrid now. At the very least, it isn't putting as much of a dent in my wallet. So our destination this time was Stackhouse Burger Bar down in the happenin' Granville Entertainment District. I really like what they have done to revitalize the street. It is still going through growing pains, b ut it is the place to be for eats during the weekends. 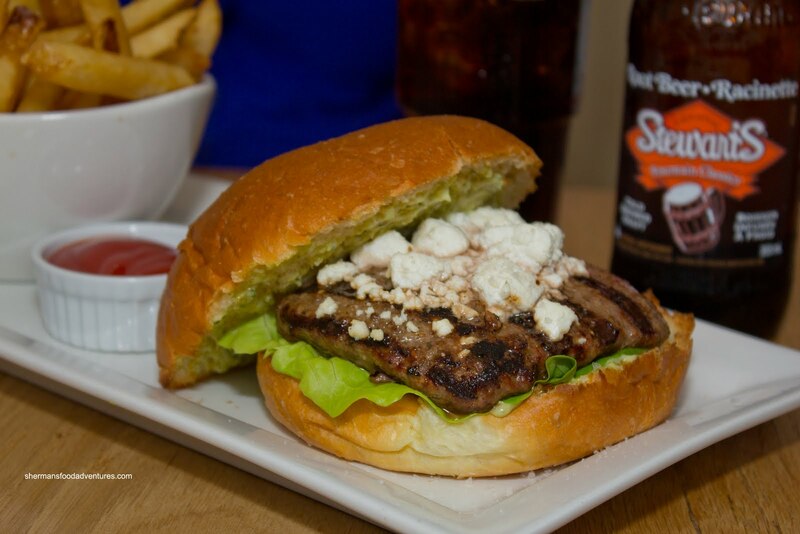 patty with goat cheese, cilantro aioli and butter lettuce served on a brioche bun. Although the burger tasted quite good, the lamb patty was dry. If it were more moist, the burger had lots of potential. Good flavour from the gamy goat cheese. In a truly surprising twist, Milhouse's Venison Burger was really moist and juicy. Normally, venison is a difficult meat to cook perfectly due its lean nature, but they did it here. The 6.5 oz patty was topped with the same condiments except for the cheese, it was Stilton this time. And as such, the burger ended up to be very flavourful due to the sharp flavour of the cheese. Even without discussing the other 2 burgers, this was our hands-down favourite one of the night. For myself, I had to go for something different and selected the Dungeness Crab Burger. This was essentially a large 6.5 oz crab cake coated with panko bread crumbs accompanied by miso aioli, watercress and topped with fried leeks. I found the crab cake to be light and very moist inside. I could taste the sweetness of the crab with a good dose of mayo. 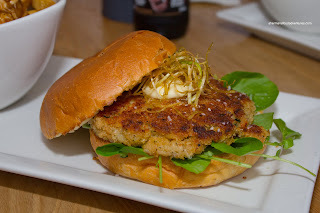 It was fried up crispy and overall, I felt it was more like a crab cake sandwich than a burger. Not bad. I asked for my fries to be substitute with the Poutine and they merely subtracted $2.00 from the price and added the Poutine as a full order. In general, I found the fries here to be rather defaultish. Nothing wrong with them other than being typical. I found the truffle demi-glace very flavourful. The Earthiness really announced itself with every bite. I was a bit indifferent with the bocconcini. 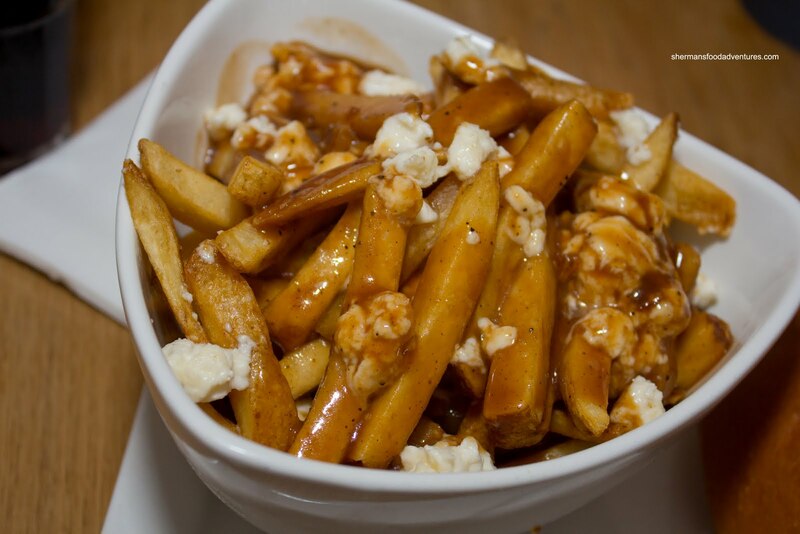 Probably would've preferred regular cheese curds for their size and squeakiness. We left the most expensive burger for last. 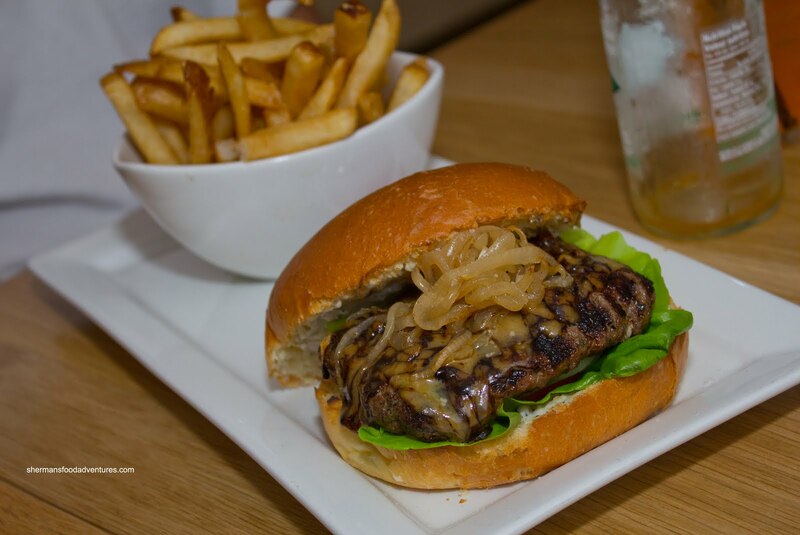 Gordo loves Kob e steak, so naturally he opted for the Kobe Burger consisting of a 6.5 oz patty with Guinness cheddar, caramelized onions, truffle aioli and butter lettuce. For some odd reason it was not as moist as the venison burger. Despite this, the flavours were pretty good especially from the sweet onions. At the end, we were pretty much in agreement that the burgers are pretty solid at Stackhouse. However, our final bill came to $30.00 per person including sodas, tax and tip. Pretty hefty for burgers. Bottom line is you need to be mentally prepared to spend good money for good burgers. One of these days people will have to explain why something that is supposed to be cheap ends up being high priced... $30/person? D: At least, in the end, it was tasty! Wtf 30/person for a burger. 30+ for a burger? Maybe for the kobe, but the rest I couldn't justify. I mean, they didn't even have any truffle oil in them! Now the burger prices at Romer don't sound so bad. 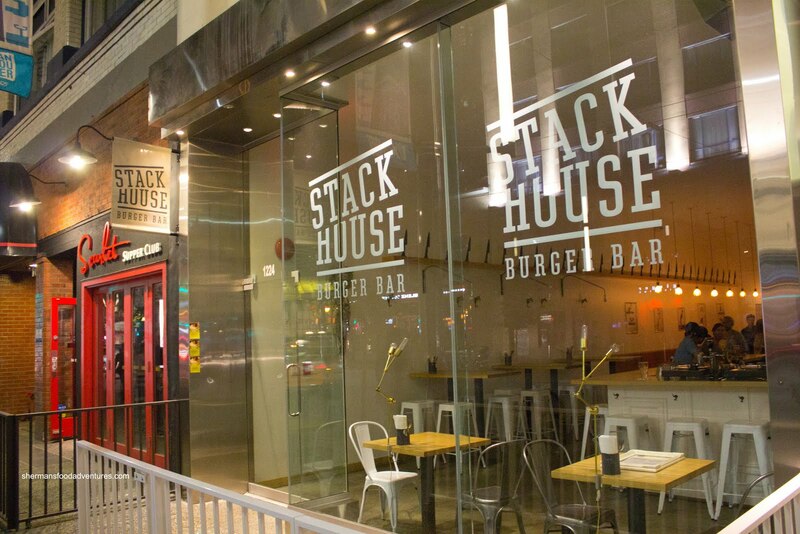 stackhouse did received a lot of publicity since it was featured on the globe & mail. I always had my eye on the kobe beef burger, however I went to Kobe Steakhouse instead and guess what?!?! They would name their restaurant after a beef they never ever ever ever have on the menu. How disappointing. 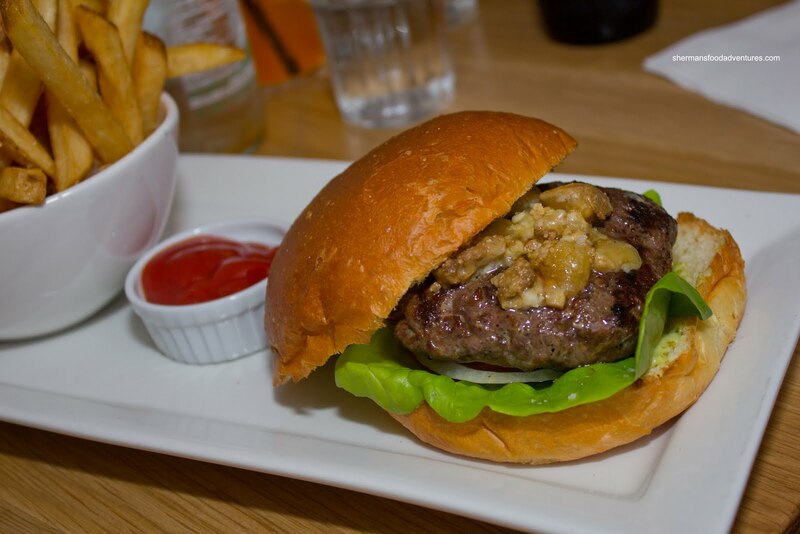 Anyhow, that kobe beef burger.. I am eye-balling the thing like it's going to magically come out of my computer screen. Thanks for sharing! Kevin, reading is tech. From the post "However, our final bill came to $30.00 per person including sodas, tax and tip." Fatpanda, "Kobe beef" on this part of the world is a gimmick. If it is so precious, why would you waste in something so mundane as meatballs? As for Kobe Steakhouse, it could be in reference to Kobe (the city). I mean, I can't think what in common Boston Pizza has with (the city of) Boston! @Kevin and Holly It's $30 after drinks, taxes and tip. Still pretty expensive... But food was not bad.